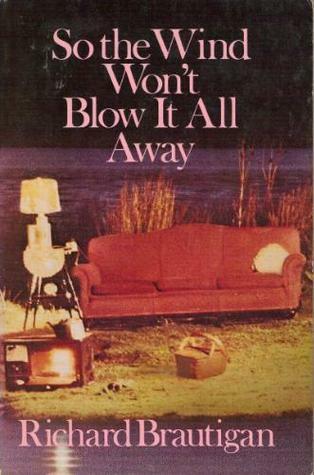 Brautigan’s story takes place in 1948, in an America which probably never existed (but even if it did, it definitely ceased to exist since then), and the events are centered around a gloomy, rainy February day when a terrible accident occurred. We only learn at the very end of the novel what exactly happened on that fateful day, but it’s clear from the beginning that it was something which changed the then-teenage narrator’s life forever – something which even now, decades later, makes him continuously think about how things might have turned out differently if only he had bought himself a hamburger, instead of the thing he had bought. Just how traumatic that day proved to be for the narrator can be surmised from the fact that for a long time he’s unable to talk about it properly – he just hints at the events, without going into details. Instead, he keeps writing about the summer of 1947, or, more precisely, about a single day which seems to be the essence of all the summer days of his life. On that day, he did what he usually did on a lazy summer day: he went fishing; he visited his alcoholic friend and collected his empty beer bottles; he checked upon the old man living by the lake who was widely feared by all the other kids in the neighborhood since he – supposedly – made a habit out of eating children; and then he settled down to wait for the arrival of the strange married couple who always came with a van full of furniture, and set up their living room and kitchen on the shore before starting their evening’s fishing. And while the protagonist is innocently pursuing his usual activities, he keeps thinking about the past, and lists all the major events and memories of his early childhood. There’s a lovely-melancholy sense of nostalgia lingering above the whole story, which is not a surprise since – if I really want to explain everything away, I might say that – the novel is about the loss of innocence, about a coming-of-age which happens too suddenly, too brutally, and the narrator would probably be happy to live forever in the summer of 1947 before he became corrupted. Of course, the summer of 1947 wasn’t an idyll at all (there are a lot of details suggesting that the narrator’s childhood is far from the „ideal”), but the world was still full of interesting (or weird) people who could always teach you a valuable life lesson (e.g. that tomatoes taste best with pepper); television hasn’t yet made human desires and thoughts uniform; and nothing happened yet which couldn’t be undone. The colorful, alluring-bizarre world (or America) Brautigan writes about might never have existed in this form. But this is exactly the point here: his imagination and humor helps us see the colors and rich beauty of his America; a country which must have been bleaker, more ravaged and more melancholy in reality. And I would gladly have lived in this non-existent America: where people build their homes anew every evening by the lake; where they sell nice, cool, fresh earthworms to anglers for a living; or where they try to overcome the most horrible tragedies by learning every single available fact about hamburgers (and not just by eating them).